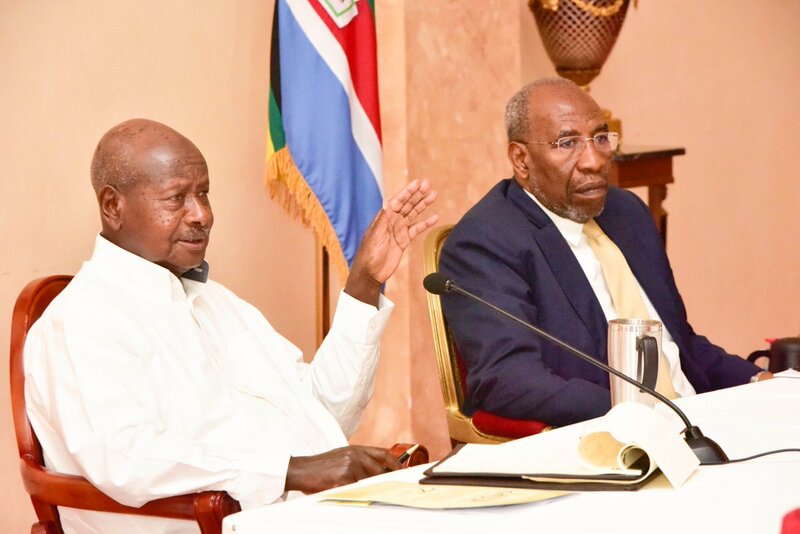 NWOYA – President Yoweri Museveni on Saturday, February 16 opened a five- day retreat for the NRM’s Central Executive Committee (CEC) members at Chobe Safari Lodge. According to Rogers Mulindwa, the NRM, spokesperson the retreat will discuss 2021 political roadmap and is running under the theme, ‘Building on Solid Achievements, Consolidating the Unity of NRM and the Transformation of Wananchi, towards achieving Vision 2040. Some of the party members attending the meeting include Hajji Moses Kigongo (1st National Vice Chairperson), Speaker of Parliament Rebecca Kadaga (2nd National Vice Chairperson), Prime Minister Ruhakana Rugunda , Maj Gen Matayo Kyaligonza (Western Region), Mr Mike Mukula (Eastern Region), Minister without Portfolio Abdul Nadduli (Central Region), Sam Engola (Northern Region), Godfrey Nyakana (Kampala Region) and Maj. Gen. Jim Muhwezi (Veterans). Others include: Kirunda Kivejinja (Historicals), Lydia Wanyoto (Women), Ruth Nankabirwa (NRM Parliamentary Caucus), Kato Gabriel (PWD s), Gidudu Mafabi (Elderly), Rukari Robert (Entreprenuers), James Tweheyo (Workers), Huda Oleru (Special Nominee) and Nasur Gadafi (Youth), Kahinda Otafire, Justine Kasule Lumumba (Secretary General) and Tanga Odoi (Chairman EC). Richard Todwong (Deputy SG), Kenneth Omona (Deputy NT), John Kigyagi (EC Commissioner), Jane Alisemera (EC Commissioners), Hassan Galiwango (Finance Director) and Oscar Kihika (Legal Director) are among other party leaders present.